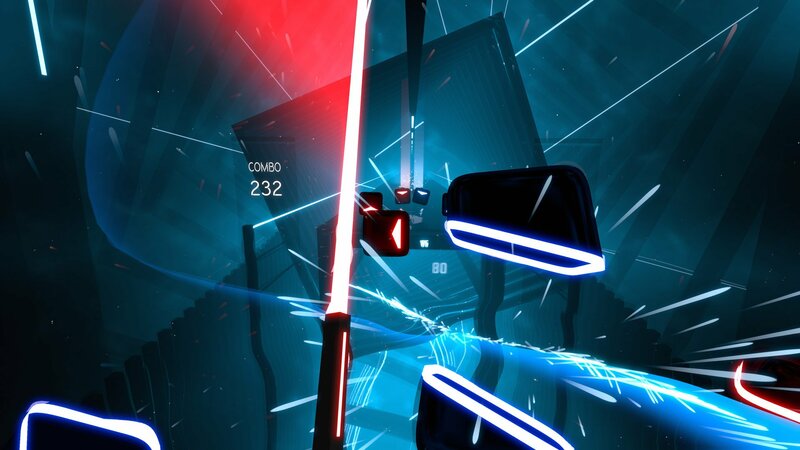 Beat Saber is an excellent VR title where players "slash" along to the music across several different tracks. It's been wildly successful, with over 1 million copies sold. Now, Oculus has confirmed that it will be part of the upcoming Oculus Quest launch content lineup. That means a whole new legion of players will be able to jump on board, with the Oculus Quest's lack of cables that truly gives it a "free" feeling. Dvorak spoke at length about how 6DOF standalone VR will impact the game in the future, since it's very much a title where free movement is warranted. "Free movement in VR is very important, especially with games where you have to move a lot. For me, the biggest plus is the accessibility of these types of devices. No PCs, no cables, no waiting—you just put it on and play. You can take it anywhere with you and show it to your friends and family. With standalone headsets entering the market, more people will be excited to get into VR," said Dvorak. Beat Saber is a music and rhythm game that has players slashing away at note blocks while awesome songs play in the background. It started out as a PC title, but made its way to PSVR this year and invited tons of new players in to see what it's all about. It's addictive and a great way to get your exercise in for the day while playing around, too. This makes me want Oculus Quest so bad! It's great to hear this confirmation. Well done Oculus and Beat Games! One of the best selling VR game is Beat Saber and bringing it on Quest is very clever. I really hope the oculus store games I bought for Rift carry over to Quest. May determine whether I buy it or not, considering Quest won’t be the only option for wireless VR. If they expect me to buy all the games again I might as well do it on another platform.